Jerrod’s work can be seen by appointment at his studio and the Local Creatives Gallery in Ocean Springs, Mississippi; Southside Gallery in Oxford, Mississippi, and various locations through Art Space 86. If you like Jerrod's work and would like a custom drawing or painting, he accepts commissions for artwork including portraits and paintings of Italy. Contact Jerrod to discuss possibilities. 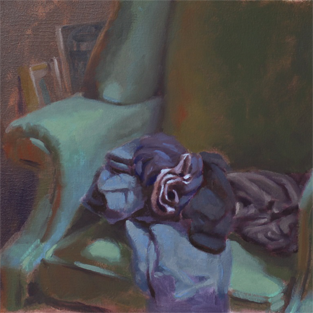 Jerrod is a full-time studio artist while also teaching drawing and painting workshops. He and his wife lead Visual Explorations to Tuscany, Italy each summer. He is also owner and co-creator of Art Space 86 which uses events to provide opportunities for artists and enrich communities through art. 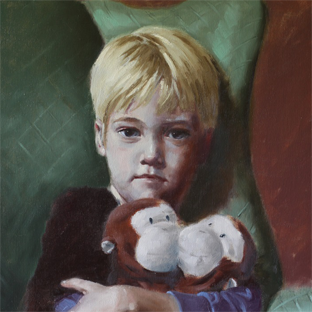 Jerrod and his artwork have been featured in Portico Jackson Magazine, Northside Sun, Find it in Fondren, Kiplinger’s Personal Finance Magazine, Number: Inc Arts Journal, Magnolia Magazine, Northeast Ledger, Madison Magazine, and the Scott County Times. Jerrod and his wife Jessie, owner of Maidenhair Floral, lead a creative life together with their three children on the Gulf Coast of Mississippi. 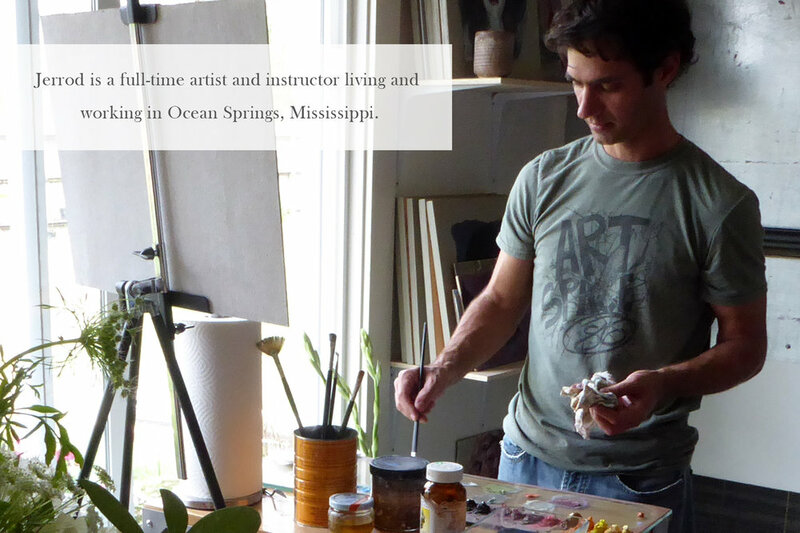 Jerrod earned a Master of Fine Arts degree from the New York Academy of Art in 2004. During his undergraduate years studying graphic design at Mississippi College he also spent a semester in London, England studying art history. Jerrod is a 2011-2012 recipient of a Visual Arts Fellowship from the Mississippi Arts Commission, and was named distinguished Alumnus of the Year for the Mississippi College Department of Art in 2017.